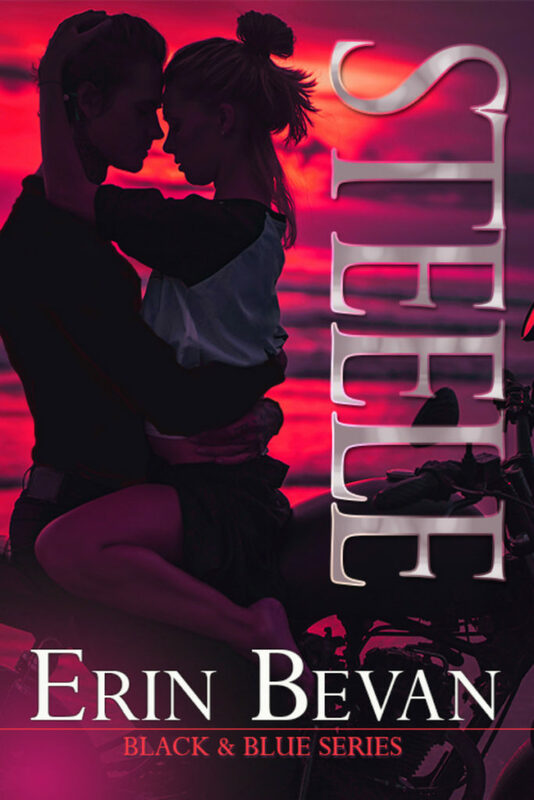 That’s right… keep reading for a sneak peek from Steele by Erin Bevan. Taking his seat first, he firmly gripped her hips, and guided her down to a seated position beside him. She snuggled in his arms, their backs pressing against the siding of the house. “Did it worry you?” His tone was soft, joking, almost like he couldn’t believe him not being there wouldn’t concern her. But when her hand felt soft cotton, and not the hard muscles of his chest, she had panicked, and worried they were over before they really began. The idea of his absence—although only brief— left more of a void than her failed marriage. Thoughts that, come morning, she would surely realize were completely irrational. Blake wouldn’t leave his own house or her in the middle of the night. But in the still of the night, surrounded in darkness, her logic had disappeared just like he had. He intertwined his fingers between hers, leaving their hands on his knee. “Star gazing.” He stared up at the sky. So perfectly still, he appeared completely at peace—yet this nagging notion inside of her lead her to believe there was more sadness in his motions than peace. She focused on the stars, trying to see exactly what it was he did. The night sky was so bright it was as if she could see every star in the galaxy, but she’d just scratched the surface. And, just like the sky above her, Blake Steele wasn’t everything he appeared to be either. There was something deeper and beyond the surface he hid from her and from the world. She knew because she did the same thing. Another breeze floated past her and she shivered. “Cold?” Blake tightened his hold on her. “A little. Aren’t you?” He sat next to her in a pair of pajama pants and no shirt, and despite being wrapped in a sheet; she could feel the heat radiating from his body. “No. I stay pretty hot, besides, I have you to warm me up.” He gently eased her head to his chest, giving her a better angle of the night sky. 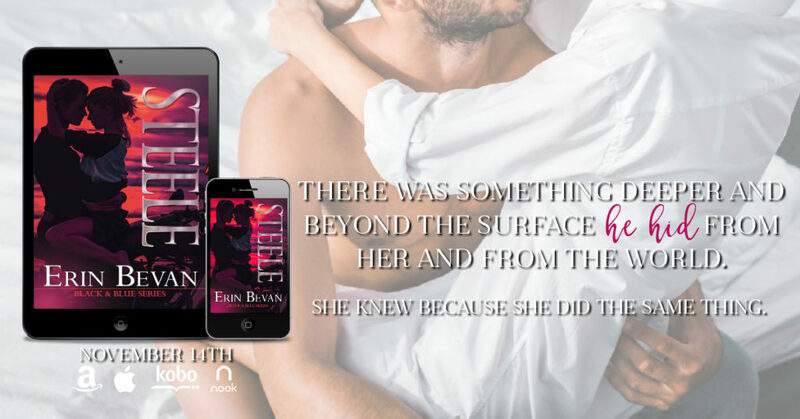 The soft patter of his heartbeat, the stillness of his calm body, the comfort he provided could lull her to sleep if she hadn’t been a ball of nerves—from all the thinking she’d been doing. About him. About her. About Nathaniel. About everything. In her soul she knew he would never hurt her, but she couldn’t shake the nerves from being seen on Blake’s roof, his arms around her, in nothing but a sheet. Dating wasn’t technically against the rules for her, but was it wise? Did it look like her focus wasn’t on Nathaniel despite the fact that everything she did was for him? “So, why are you out here at midnight star gazing?” She changed the subject, trying to take her mind off her own worries. What was underneath his tough surface? Who really was Blake Steele…the man who wants to love her?